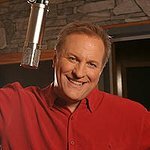 Collin Raye is a country music singer from the US. Between 1991 and 2007, he charted thirty singles on the U.S. country charts. Google trends for "Collin Raye"
We don't have any videos related to Collin Raye.